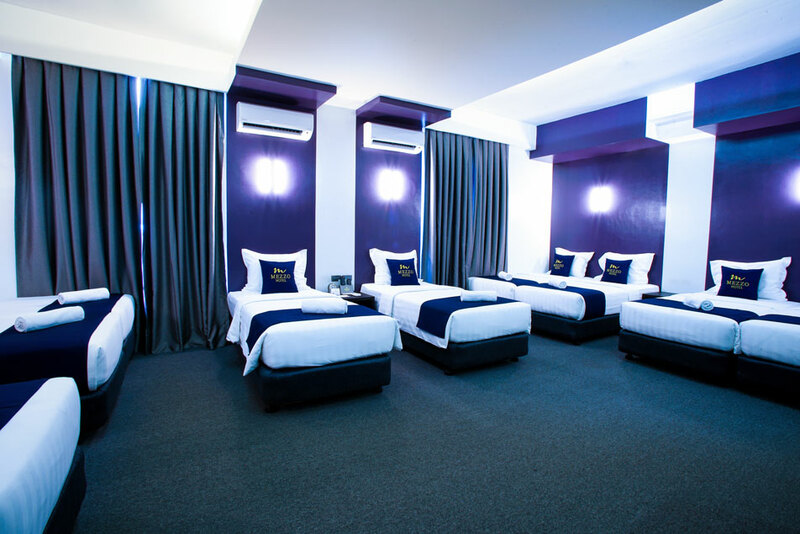 Our uniquely designed Barkada Room is a spacious 56 sq.m guestroom ideal for groups traveling together, and can comfortably accommodate 10 people. Added Value: Complimentary (pre-arranged) Late Checkout until 2:00PM depending on availability. © 2019 MEZZO Hotel. All Rights Reserved.